Beginning in 1848, a little event called the California Gold Rush intoxicated people from all over the world with the idea that they could make a quick million. With hearts full of ambition, nearly 150,000 prospectors in Europe took advantage of the golden opportunity and sailed across the Atlantic, around the southern tip of South America, and all the way up the coast until the reached the boomtown of San Francisco. If you’ve ever looked at a map, you already know that’s a crazy long trip, one that could take months upon months to complete over the unpredictable dangers of the open ocean. Such a voyage is, to say the least, exhausting. During this surge of migration, the small Chilean seaport of Valparaíso reaped the benefits of money-hungry sailors. Since its location was half the distance to San Francisco, it was a reasonable spot to rest up for the remaining journey. With a growing number of Europeans bringing over their influence, the town began to blossom into a cultural hub with staggering diversity. 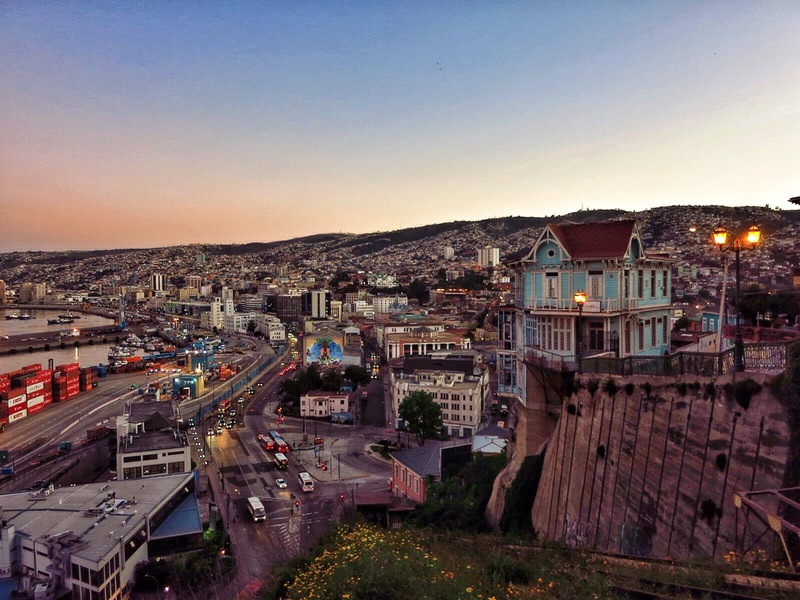 At the turn of the century, Valparaíso was inhabited by British, German, French, and Italian immigrants who injected the town with their own unique flare, and by the time Valparaíso reached its Golden Age in 1914, it had earned the title as the “Jewel of the Pacific”. It was, without a doubt, the most important port city of South America. 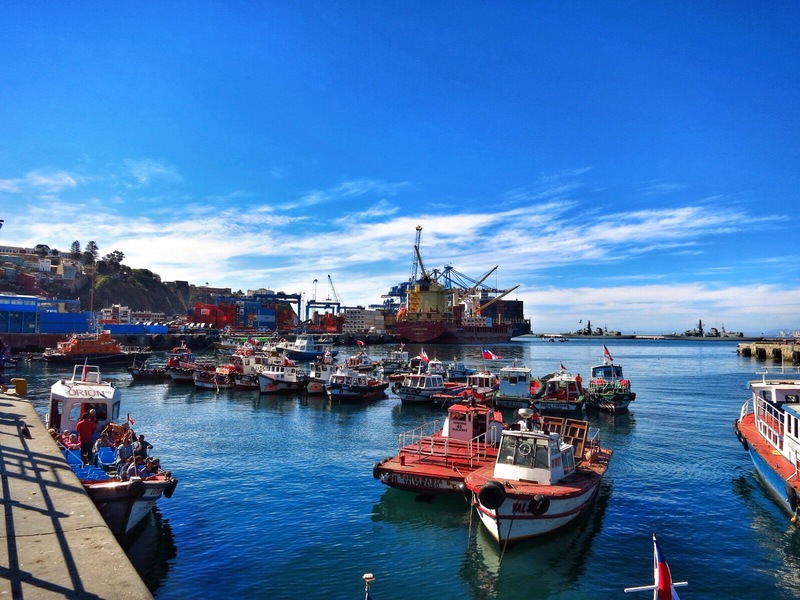 The docks of modern-day Valparaíso. While the economy of the region began to explode, budding entrepreneurs who sensed a business opportunity opted to take up residence there instead of continuing north. As the permanent population grew, so did the innovation. Before Valparaíso had even reached its peak, it was already responsible for South America’s first football team, volunteer fire station, stock exchange, mercantile building, Protestant church, public library, Spanish-language newspaper, and brewery; all of which were scattered amongst beautiful, palacial Victorian buildings and lush, rolling hills that descended right into the blue waters of the Pacific. 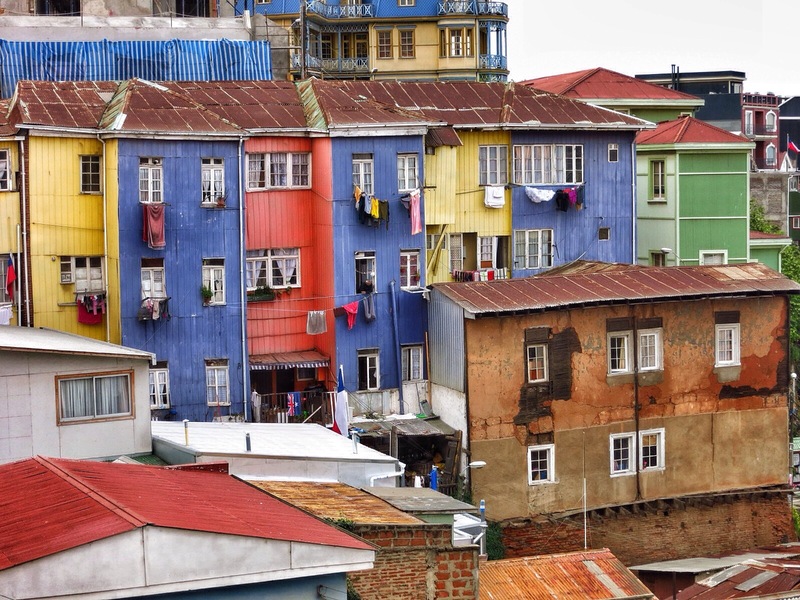 With a stunning backdrop and spirited culture, it’s no wonder people were sucked in to Valparaíso’s magical allure. The city had found its swag, and the sky was the limit! Almost overnight, everything changed. Just as Valparaíso had reached its pinnacle in all things cool, the United States decided to build the Panama Canal. Starting in 1914, all traffic from Europe that would’ve gone through Valparaíso chose to cut their voyage in half and sidestep South America altogether. The fallout was absolutely devasting; nearly all of the wealthy families left for greener pastures, rendering large sections of the city abandoned. With no real reason for being, Valparaíso started to fall into the abyss. Ironically, it’s this very desolation that makes Valparaíso the incredible city it is today. She didn’t turn out too shabby! With many locals debilitated by the sinking economy, they turned to the ports for creative solutions to their problems. Most notably, they recycled corrugated metal sheets left behind by ships and incorporated them into their architecture as protection from the weather’s elements. Once they realized that the humid air from the water rusted the metal, they used the leftover paint shipping companies would discard to protect their homes against the moisture. In many instances, though, there wasn’t enough of one paint to finish off an entire facade, so the exterior would be done up in a variety of hues. Imagine a whole city full of color like this! Slowly, the city began to regain its vibrance. A new generation recognized the charm Valparaíso still held, subsequently bringing flocks of artists and free-thinkers in search of inspiration within the port’s former glory. 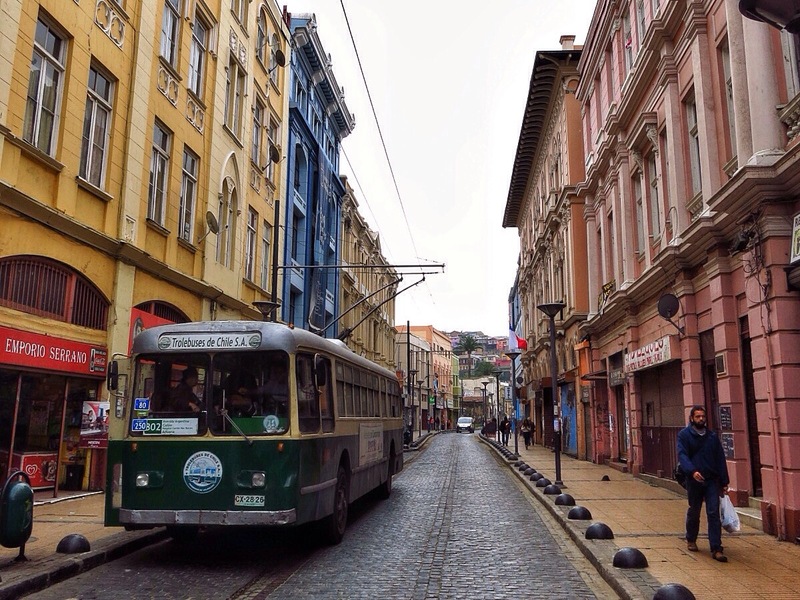 Its antiquated elegance was still palpable, thus giving Valparaíso a newfound appreciation. In 2003 its authenticity was saved when UNESCO declared the historic center a World Heritage Site, driving the Chilean government to declare Valparaíso the nation’s “Cultural Capital”. In doing so, the city’s distinct appearance was preserved. Calle Serrano, the area that was being built up as the rich section before 1914 hit. It’s not just Valparaíso’s presentation that makes it unique, it’s the vibe that truly makes it shine. Progression, art, and liberal thought are the forces that drive the city forward; freedom of expression is more perciptible here than anywhere else I’ve visited. It’s not uncommon to see a dude dressed in a Peruvian alpaca pullover, sporting a dreaded mullet, carrying his guitar and smoking a joint; nor is it rare to spot a girl with dark-red lipstick wearing chained clothing, head half-shaved (think Skrillex), shoving nails up her nose to earn some spare change on the street. 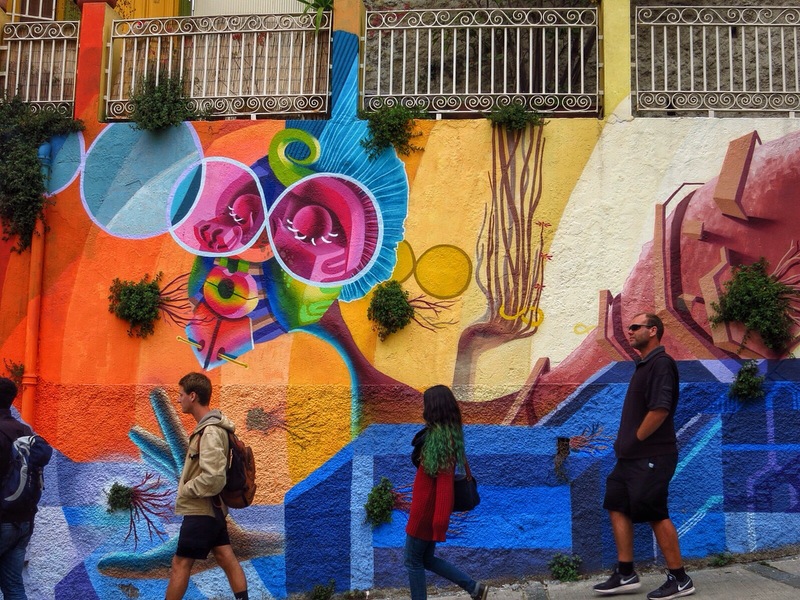 The people are inventive, illustrating the bland spaces of their walls with world-class street art, thus rendering Valparaíso one giant canvas in which to play. It’s a sight to behold; magnificent, dazzling, and wholly consuming. Walking along the streets is more like taking a tour through an outdoor museum. 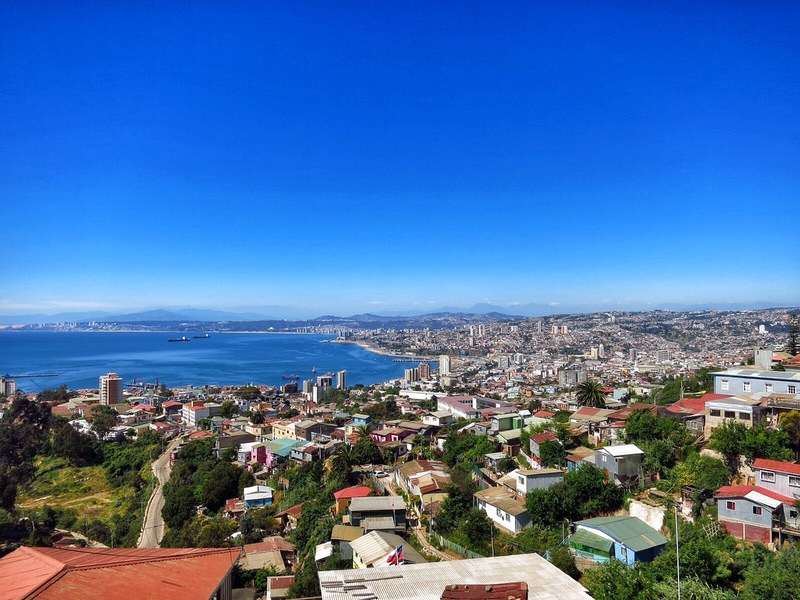 Valparaíso may not have fully regained the economic prominence it once held in the early-1900s, but it doesn’t need to in order to be the incredibly special place it is now. Presently, you can be who you want to be – there is no standard for what’s “weird”, everything just “is”. It’s an attitude that’s refreshing to bear witness to, and after seeing how the youth of region approach life I can’t help but be convinced Chile will be good for years to come. It seems as though other foreigners have caught the scent as well; I’ve talked to dozens of travelers who were captivated by what Valparaíso had to offer, they meant to pass through but instead decided to figure out some kind of work to keep them there. They found the soul of this marvelous city just too good to resist, unable to move on from the thrilling renaissance passing before their eyes. Now, doesn’t that sound familiar? Would you want to leave this?